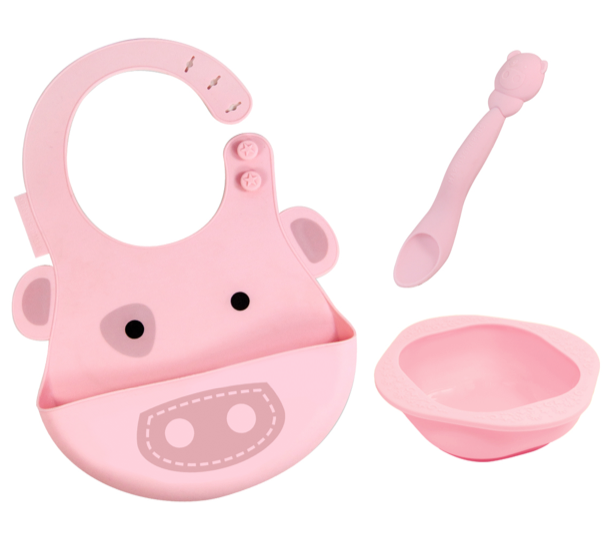 Marcus & Marcus Baby Feeding Set is the perfect set to get your baby started on solids. 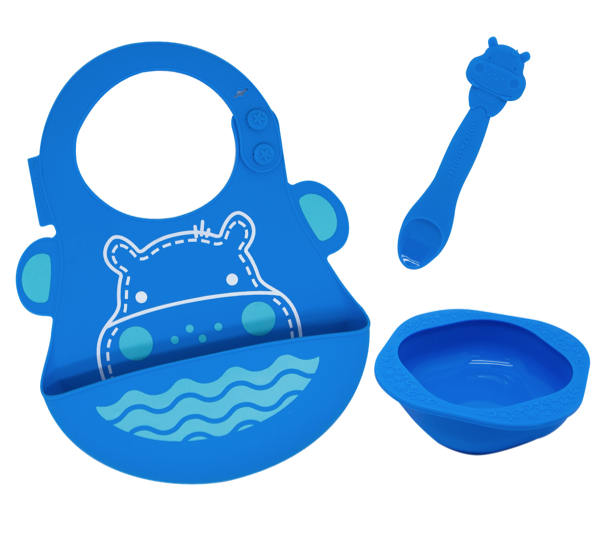 The baby feeding set includes one silicone bowl, one soft-tip feeding spoon that is gentle on baby’s gums and one silicone baby bib. Products are molded from BPA and Phthalate free materials. Available in Ollie the Elephant, Pokey the Pig and Lucas the Hippo . Top-rack dishwasher safe. Steam sterilizer safe. Stains can be removed by washing with hot-soapy water. Made especially for baby's neck, our silicone is super soft - gently unbutton and button using two hands to prevent damage. Do not pull off. 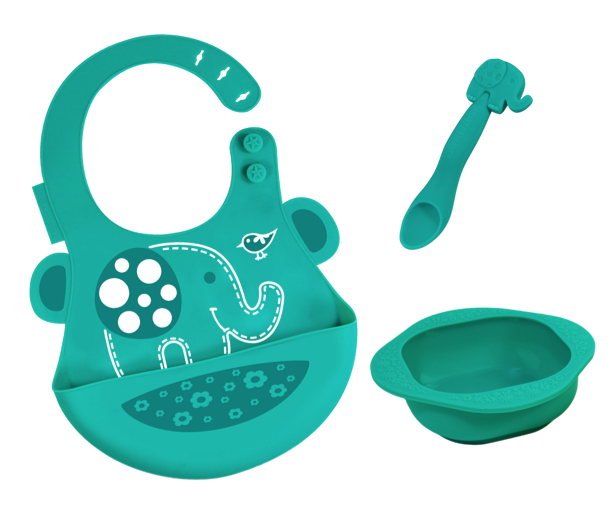 Notify me when Ollie the Elephant - Green Silicone Baby Feeding Set is available.